Clean water scarcity is one of the top key challenges to mankind in the 21st century. Water demand from municipal use, agriculture and industry is growing worldwide, while water resources are prone to erosion and pollution. Groundwater is one of mankind’s major freshwater reservoirs, yet global groundwater resources are strongly impacted by anthropogenic contaminations. This imposes a serious threat to the sustainable use of groundwater and its ecosystems services. For the protection of global groundwater reservoirs, cheap and robust technology is needed to counter the threat by groundwater contaminations. There are many methods for the removal or immobilization of toxic metals from groundwater at contamined sites, drinking water wells or river bank filtration sites. Considering the huge economic and technical costs of these methods, they are limited to some countries or regions. The REGROUND project focuses on developing a high technology available for the low cost market that can be applied to prevent emission from sources such as contamined sites, or to remove contaminants from bank filtration zones. 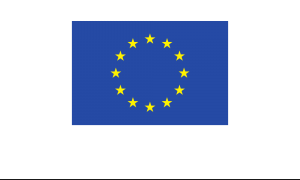 REGROUND Project has received funding from the European Union’s Horizon 2020 Research and Innovation Programme under Grant Agreement No. 641768 – ‘Colloidal Iron Oxide Nanoparticles for the REclamation of Toxic Metal Contaminated GROUNDwater Aquifers, Drinking Water Wells, and River Bank Filtrations’. Optimisation of technology for robust field application in order to ensure a reliable and reproducible application under a wide range of hydrogeochemical conditions. The establishment of standardized application protocols. Operation of two large scale field applications in order to demonstrate control of the technology at real scale, and long term success of the REGROUND approach. Market implementation of the technology through a spin-off company. REGROUND will globally transform the efforts to mitigate the risks posed by toxic metal contaminations to humans and ecosystems. The project will raise awareness of sustainable water management not only by implementing new technologies, but also by launching an awareness campaign aiming to help process industries and consumers to socially accept water as a highly valuable resource rather than a cheap consumable. The major impact of REGROUND will be a conceptual change in the ways we use today to counter the threat of toxic metals in our drinking water supplies. Instead of using high-profile, ex situ equipment, the smart, ecoinnovative application of the REGROUND nanogeotechnology will make high technology available for the low-cost market. REGROUND is not only a better technology. We open new opportunities to remediate many sites which could not be treated so far due to high costs and lack of appropriate in situ technology.